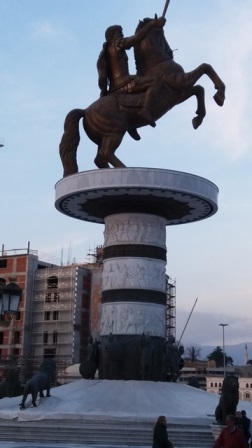 So, a few weeks ago I visited Skopje for the first time in my life. I didn’t know what to expect there. I didn’t know how computer literate the teachers were, how much they knew about Moodle and most importantly – the Internet connection. If the Internet connection didn’t work well, we wouldn’t be able to present Moodle and online teaching properly. Just imagine…. trying to show people how online courses work without the internet. However, things turned out much better than I expected. Teachers were very good with computers and internet connection was excellent. 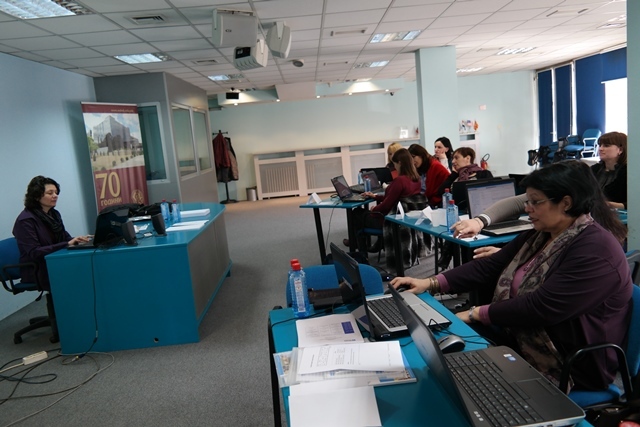 They didn’t know much about Moodle, but I think they have better picture of what Moodle is and what they can use it for after this short training. Firstly, my colleague, Robert Buckmaster, introduce a concept of online learning and differences between F2F and online courses, both from the aspect of learners and students. Then, I went through all Moodle Activities and Resources which are useful for language learning. We also talked about course design and I’ve introduced my all-time favourite – Grid Format. As it was only a three-day training we had to run through some things, but teachers managed to make their own quizzes, books, pages and even a lesson. We’ve pointed out that the good thing about Moodle and online courses is that you can create a standalone course or a blended course. Furthermore, standalone courses can be done with or without teacher’s presence, I wouldn’t recommend the latter, though. I personally like blended courses because they give students the opportunity to practice outside their regular lessons, to speed up their progress and/achieve better results on their exams/tests. To conclude, I think that MOD teachers now have better picture about Moodle. They have seen its potentials and they already have some ideas how to use it in the future.